I had my learning mode on over the weekend and I was trying out Sitecore Update Center on 18th of August. I faced a rather strange issue while checking the latest Sitecore Update Center which got added as a part of Sitecore 9 Update 2. Did you get a chance to look at its striking features – well check it here. I installed Sitecore Powershell Extensions Module and Sitecore SXA 1.7 module but the modules were not visible in the installed modules section in my solution. I was like – scratching my head for some time – and asking myself, did I do something wrong? Is my expectation correct or is it not? 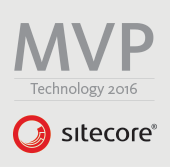 In the end, I thought the best way to know about it is to check with the Sitecore Experts – the Sitecore Support Team. Hence, I raised my question with them. And they got back to me with a reply in like a day – which is so awesome! A Sitecore Support specialist – Eugene Tkachenko got back to me with the answer that the behavior that I was expecting was correct and he reported it to be a bug. Also, the main reason for the module packages were not visible within the Installed Modules of the Update Center, was because they did not contain required .version files. Eugene gave me a patch to fix my issue, I applied the patch and it worked! Woohoo! As the patch was very specific to my issue, i.e. regarding the modules Sitecore PowerShell Extensions and Sitecore Experience Accelerator modules, it doesn’t really make sense to share it with the whole community. But, with this post, I wanted to share this information with everyone of you, that in case you face a similar issue, that you install a Sitecore Module as per the steps mentioned for installation of that module and it doesn’t show up in the installed modules section, its good to check with Sitecore Support, if the modules you installed had a missing version file as well. Thank you Eugene, for helping me out with my query!